I've had a couple of 2 intensive classes of Luxury Brand Management at University, and I'm psyched about it, I had never in my life paid attention for 5 hours straight without bitching about it. The impression the professor has made so far is amazing, he has worked for great brands like Clarins, Chanel, Hermes among others and just in general he seems a very wise person in the field. I'm gonna try and cover different topics in different posts, cause I think the class is amazing. The first thing that we have to understand about a luxury brand is that their products are not made to make money, but with the aim of creating the BEST product, the closest to perfection. You don't wanna target or segment a market, they will come to you because you have the best to offer, hence the importance of having a passion for what you do, this will lead you to have the best quality. Anyways I'll be covering a lot of case studies further on. The thing is that I couldn't let the opportunity go by and I asked him about possible internships that I could get here in Paris, he gave me a brilliant but not likely -close to reality- idea. He told me that I should contact my country's national magazines and offer them my services to cover events here in Paris, with interviews, pictures, etc. That would be a great opportunity for a magazine to have inside information, since the professor is willing to show me the way into the main events, but at the same time, it seems logical to me that an important magazine won't lend it's name to a stranger that offers her services, they don't know me, so how is this gonna happen? anyways, he told me to wait for a week and then hopefully I will get a response. I live in a student residency very near the Eiffel Tower, and I've gotten to know a lot of interesting people here. Without expecting it, I've found that a lot of girls here are studying fashion related majors. I had the opportunity of talking to one of those girls a couple of weeks ago, she's a 24 year-old Italian girl. 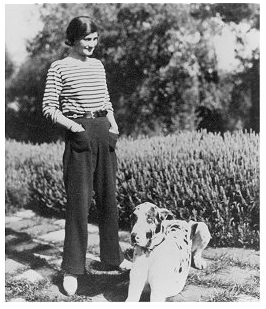 I asked her if she had always wanted to break into the fashion business. She told me that she was interested but when she went to college, she really didn't know what to do with her life, choosing economics as a career. She realized that she didn't want to do so, and now she was studying fashion business. I have this idea that in the fashion business there are 2 types of people, the pretend ones that really think that designer labels will bring an added value, and the other ones that appreciate a designer as a creative artist that makes a piece of clothing that may mark an era in humanity. Well life goes on in Paris, and I have to admit that I've been a little reckless with myself. I've always considered myself as non high-maintenance but this has been too far now. The few products I owned were directly taken to the trash at Charles de Gaulle airport on my way to Rome when I deliberately took them with me in mycarry-on, I mean, when I went to Dublin a month ago they didn't say anything about it, but I guess back then they were in a really good mood and decided to ignore it, pff I wasn't very happy about it but no worries, they were cheap by the drugstore and just a couple of moisturizers that were almost empty and I was in no position to bargain since the lady was nice enough to leave my new perfume. While I spoke to my mom on skype yesterday she told me in a not very happy tone, that I needed to buy the necessary products to take care of my skin and my hair. I'mnot very happy, having a student budget, to spend money in this when I could be spending it on saving for a plane ticket, or going out for dinner, or even buying shorts since Paris is hot now. But as a very obedient child I do have to admit that the fact of going around Paris buying beauty products won't kill me of sadness either hihi. 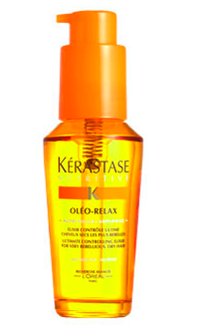 Back home, I'm a regular user of Kerastase's line Oleo Relax, originally it was recommended by my hairdresser to ease my hair bangs a bit, but then it turned out to be a real healer. 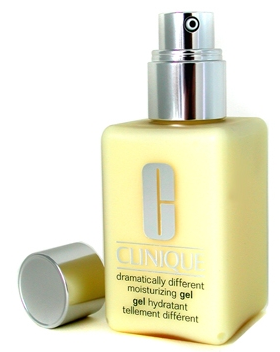 Any other products that you guys have tried for really really dry hair? 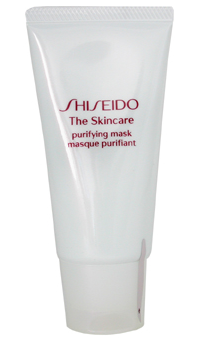 Shiseido purifying lotion: any comments? I've heard and read good reviews but I haven't tried it. 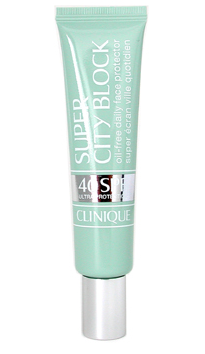 Clinique city block with spf: it's great but I left it home, so any advice about sun protection? 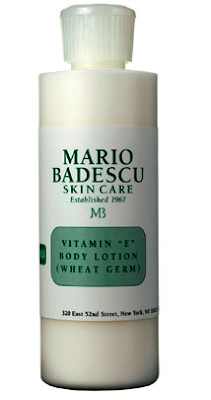 Mario Badescu: Read about it in Vogue but still I haven't tried it, reviews? Aquaphor: same same, any reviews? This are some of the products I'm planning on buying, I'd really like to hear what are your beauty essentials for general skin and hair care? 2nd thought: she's a superstar in Finland and she hasn't told us. 3rd thought: she's secretly a multimillionaire socialite and hasn't told us. 4rd thought: there wasn't really a 4th thought, I just stood there and I didn't even realize when the words had come out of my big mouth:- "WHAT ARE YOU DOING?" Friend: Elina, how the hell did you get in?! Friend: Wow!.. so fashion people really are stupid! After thinking that I was gonna dye of laughing so hard, I explained to my inexperienced friend, that fashion people are everything but, they are people of aesthetics, and the truth is that Elina Mauno is a gorgeous girl and it wouldn't have mattered if she had handed him a "post-it" with her name written by a 4 year old and a happy face as an official ID, they would've let her in anyways! Oh yeah, and Elina Mauno is the very first pic you see here. We all love you Elina!! All pictures taken by me. You can use them of course, just don't forget to mention me!. Okay okay I really tried with tumblr, but is just not the same. Yeah.. still with Dior, I posted some pictures but I haven’t told the whole story! when the show was over I was busy running around trying to take pictures of people to post them on the blog, I saw Coco Rocha whom by the way responded to a comment posted by me on her facebook page. When I was heading down the metro I saw some people that looked kinda lost, I was currently waiting for a friend to call me so in between my confusion “meeting friend” wise, I went down and asked the previously mentioned people if they wanted any help, it was then when I had the amazing opportunity of meeting Keke Lindgard, her mom and what I thought was her bf. First of all I have to say they are lovely lovely people, and after I offered to take them where they needed to go, we talked about the show and how we missed being back in each our homes, it was an amazing experience for me to have met them and realized how nice people they were, and I’m incredibly thankful for them to have answered my silly questions about the fashion industry, I asked Keke how long did it take to do her make up and her hair and she said like 1:30 hours each!, she also told me that there was no way she could know which runways she was gonna do the day after since they may give you a call at 12 at night for a show you have to be the next day. We also talked about how hard it was for them being so busy all the time to take a close look at Paris as a tourist would do for example, they told me that they’ve always wanted to stay a little longer but they were so tired by the end of it that they only wanted to go home. It must be really really tiring and stressing during fashion week, although Keke assured me that she wasn’t! Anyways I’m really happy with the experience and if they ever read this I’d like to thank them again, and I really hope we cross our ways in the future. 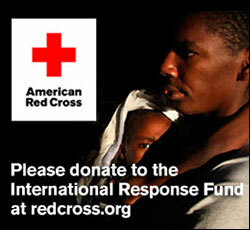 I hope you guys have a great time in Paris, and if you need any help just call me. 1. Met and jammed with a girl that's writing songs for a producer in Holland, and will be the best next thing I promise.